Odd events can lead us to new passions. A car detour in Pennsylvania to visit the memorial site for the Flight 93 plane in the countryside, was the start of author and gardener Kylee Baumle’s obsession with Monarch butterflies. She and her mother discovered a dead monarch butterfly lying on the ground. What did it mean? Her explorations to learn about the circular tag—who devised, and put it there—led her deeper and deeper into the world of the monarch butterfly. 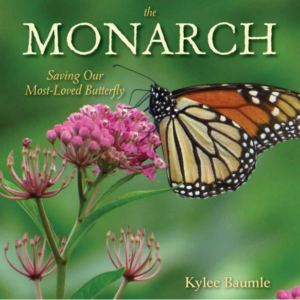 Kylee Baumle’s book is a great compendium of all things Monarch. Like many of us who are over 50, Kylee remembered a time in her childhood when clouds of monarch butterflies were a normal part of summer vistas. Sadly, that abundance has diminished drastically in recent years. You’ll learn everything: from the environmental conditions that have led this important pollinator to become an at-risk insect species, to what has contributed to their endangerment, to their winter habitat in Mexico, and to complete information and pictures about their life cycle, from egg to larva to butterfly. Kylee’s research tells of the people and organizations that are helping to preserve this unique species, including tracking the monarch’s migration and overwintering through scientific monitoring, and data gathering by tagging butterfly wings. Another intriguing story in this book is Kylee’s story about the detective work she did to find the actual person who tagged the butterfly she found in Pennsylvania. Everything comes full circle. This is something Kylee has been doing for many years, even getting her grandchildren involved. Kylee has become quite an expert in raising monarchs from caterpillars, which is what led to her writing this book. She tells stories of her successes as well as the heartbreaking results of nature sometimes taking its course, when wasps get in the way of the monarch life cycle. Kylee points out that in the wild, very few caterpillars make it to adult butterflies, so that humans helping out in this area—safely raising caterpillars in a protected environment, then releasing them—is a win-win situation for both human and butterfly. All the information you need to start raising butterflies from eggs and caterpillars is in this book, complete with pictures, instructions, a glossary of terms and local wildlife organization info. Some organizations and local information listed are specific to the United States, so not as relevant for Canadian readers, but many organizations, like Monarch Watch and others, have information for the Canadian portion of the monarch’s migration. 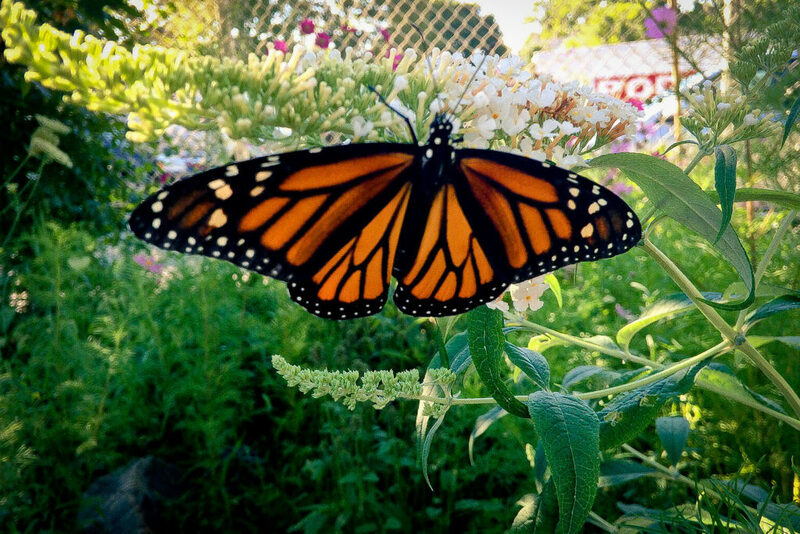 Want to know what to grow for Monarchs and their caterpillars? You’ll also find that here. She includes a comprehensive list of larval host plants, specifically all the different types of milkweed. Kylee goes deep with this info, giving reasons why you may not want to grow specific types of milkweed in certain areas, due to disease vectors. There’s so much learn about monarch butterflies, and Kylee really does cover it all. My only wish for the book would be to have a few more specific captions or labels on some of the photographs. While reading it, I was in the possession of my first tiny butterfly larvae in a plastic container, that had been given to me at a meeting of the Suzuki Butterfly Rangers. Ten days later, I witnessed my own caterpillar metamorphosis. Like Kylee, I am now hooked on this exciting process. But that’s the story for another post. 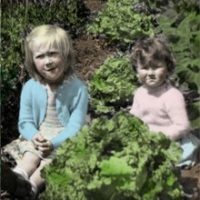 Kylee’s book is published by St Lynn’s Press. Thank you so much for this review of my book, Sarah. I’m glad you enjoyed it and that now you’re “one of us.” There’s so much to learn from interacting with nature in this way. It’s fascinating! I am so “one of us” Kylee!! Can’t tell you how excited I was to finally find my own valid egg that hatched. Still a tiny guy right now, but happy to be on the Monarch roller coaster again.